So you never have to part with your favorite pair of shoes. 1. 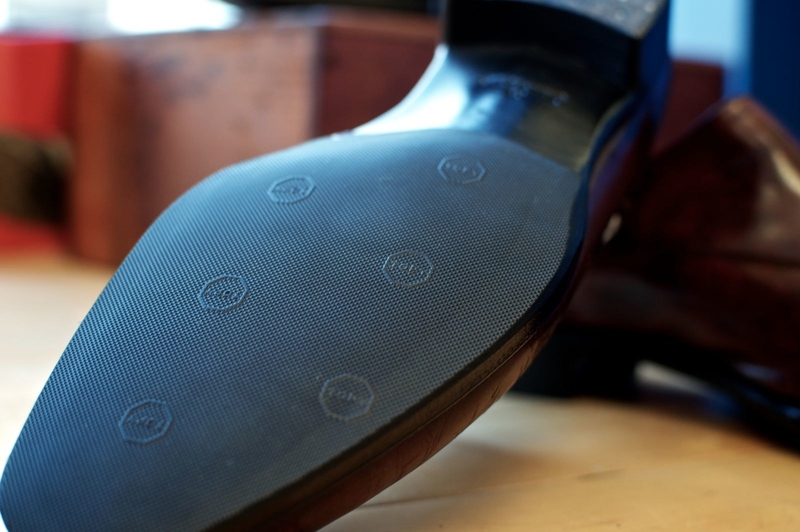 After wearing new shoes for a few days, take them to a cobbler to get the outsoles, heels, and toes reinforced. 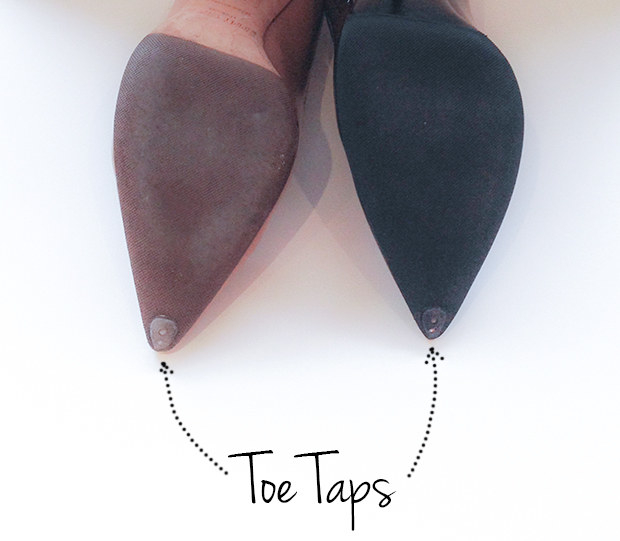 This way, you can continue replacing the outsoles while the actual soles of the shoes remain intact. Once the real soles wear down, the shoes are much harder to repair. Depending on the shoe, prices can range from $5 to $100. 2. Or, you can reinforce the outsoles yourself with sole protectors and heel plates. They're also great anti-slip accessories. Get the sole protectors from Amazon for $10 and the heel plates for $10. 3. Rotate your shoes so that each pair has a chance to dry out before it's worn again. When your shoes don't dry properly, they'll become weaker and smellier. 4. Instead of trying to fix your shoes with super glue, use shoe goo. Unlike super glue, shoe goo is both strong and flexible. It's built to protect your shoe, and it's waterproof. You can also try hot glue, but it won't last as long. For more instructions on how to use shoe goo, read this. Get shoe goo from Amazon for $7.65. 5. If you've invested in a really nice pair of leather shoes, get some cedar shoe trees to help keep their shape. If you're buying super-cheap shoes, cedar shoe trees will prevent some wear, but either way, your shoes aren't going to last very long. Still, cedar shoe trees are affordable and will also fight odor. 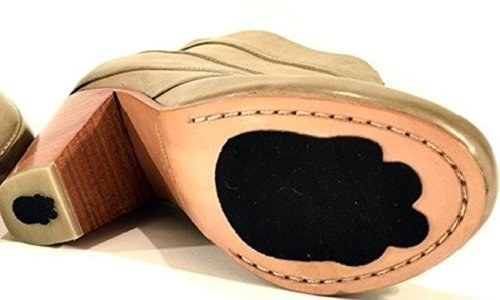 To read more on whether or not your shoes need shoe trees, go here. Get a pair from Amazon for $20. Or, get some travel-friendly ones for $16. 6. For shoes that don't work with shoe trees (most non-leather shoes), try Sneaker Balls. They'll keep your shoes odor-free and fresh. 7. 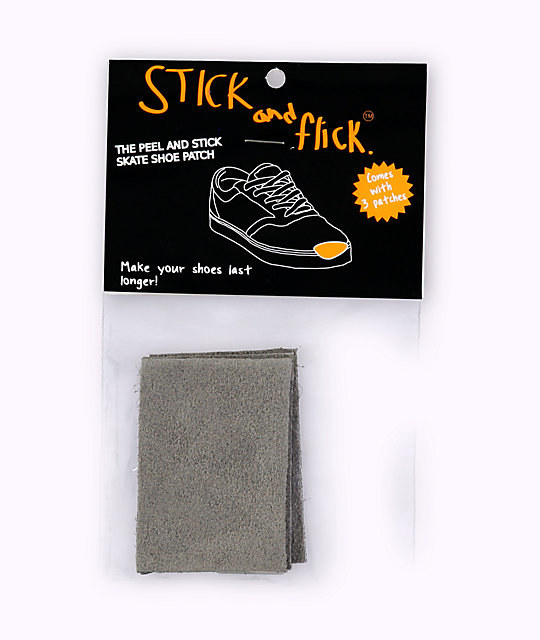 Get some Stick and Flick patches to repair worn-out edges and laces. 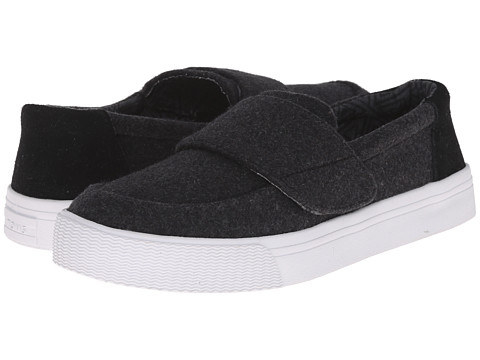 They're especially great for skater shoes. Get them for $6. 8. To preserve delicate heels, try KiiX adhesives. 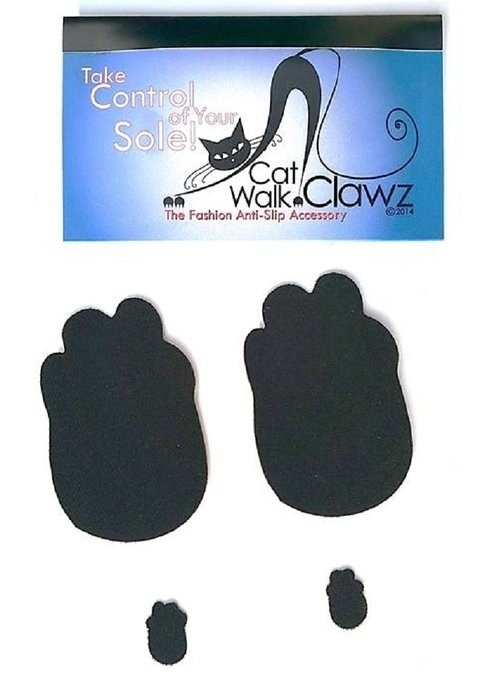 Just wrap them around the heels, and your heels will be protected from scratches and other marks. Get them from Amazon for $10. 9. Waterproof your shoes so that they're less susceptible to water damage. Instructions here. Get beeswax from Amazon for $5. 10. Use a shoehorn to slide into your shoes without ruining the counter (back of the shoe). If you're a lazy person like me, you probably don't untie your shoes and you put them on by forcing them on. Over time, the back of the shoe will wear down. A shoehorn will make it easier to wear your shoes and they'll also prevent the back from getting floppy. 11. For good leather-shoe maintenance, "moisturize" the exterior with shoe cream. It'll polish and add color, too. Get it from Amazon for $6. 12. 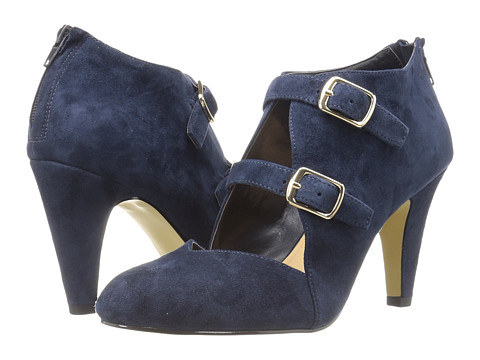 For non-leather shoes, try to find pairs with suede uppers and rubber soles for longer lifetimes. 13. If you need to wash your shoes, don't put them in the washing machine. Use a toothbrush instead. A washing machine will wear the shoe out. With a toothbrush, you can get in the tiny grooves and scrub more thoroughly. Just put a little laundry detergent on the toothbrush before cleaning. Now go and take good care of your bbs.